ST. PETERSBURG, Fla. — St. Pete Police is investigating a deadly crash involving three Lakewood High School students on Tuesday. Police say the car crashed at 54th Ave. S. and 16th St. just outside the school. Authorities say 18-year-old Bryson Welton-Williams died at the scene and two other students were rushed to nearby hospitals. One of the injured students is in critical condition, the other has been released from the hospital. Investigators say that the three students had just left the high school headed west on 54th Avenue S. when Welton-Williams, the driver, lost control and hit a tree. Police determined that one student managed to crawl out of the car following the crash, they originally thought the student had been ejected from the vehicle. 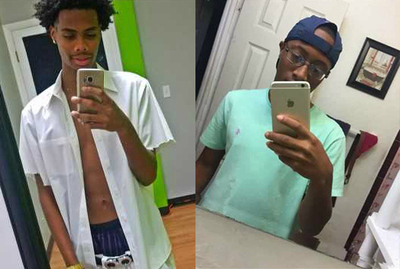 The two injured in the crash have been identified as Joshua Heath and Ramcharan "Trey" Lattimore, both 18-year-old students. Teachers at the school tell ABC Action News that three seniors were in a single vehicle at the time of the accident. Today was a day where they recognized senior students at school. The accident is just three weeks before the school's graduation ceremony, which is scheduled for May 16. Saturday the seniors are scheduled to take a trip to Universal Studios.